I have always loved Japanese culture. I love watching Japanese movies. I am not a big fan of manga but my favorite movie is AKIRA 🙂 . In the past few years I started reading more about Japan and Japanese culture. I have always wanted to create something that was inspired by Japan. Japanese letters are very interesting and I wanted to use them for some designs, but I never had an idea how to use them. Last week I stumbled upon an interesting book. My dad owns many many interesting books about Japanese culture and I like exploring something that is different from the culture of my country. 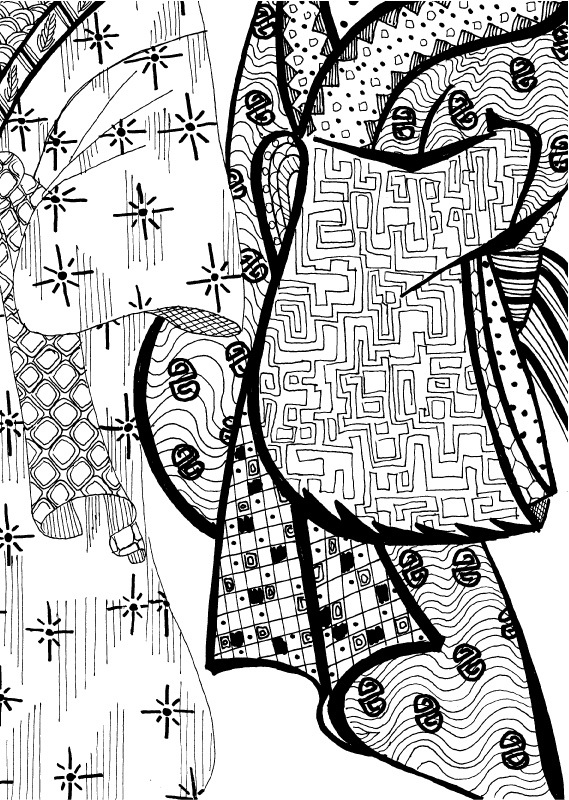 When I saw the book “Japanese woodblock prints” I was so inspired that I couldn’t resist. I had an amazing idea how to use this for my inspiration. 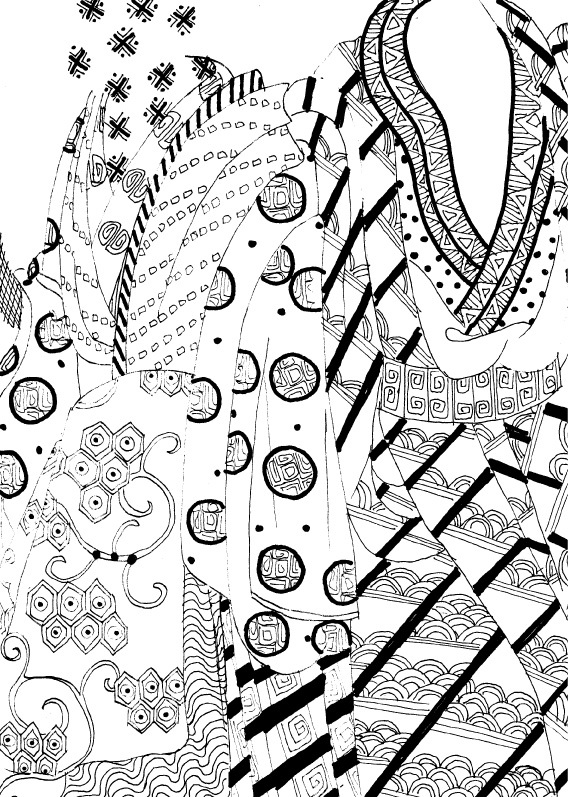 I took a detail from a print and used it as a design for textile. I tried to make it as much detailed as I could. 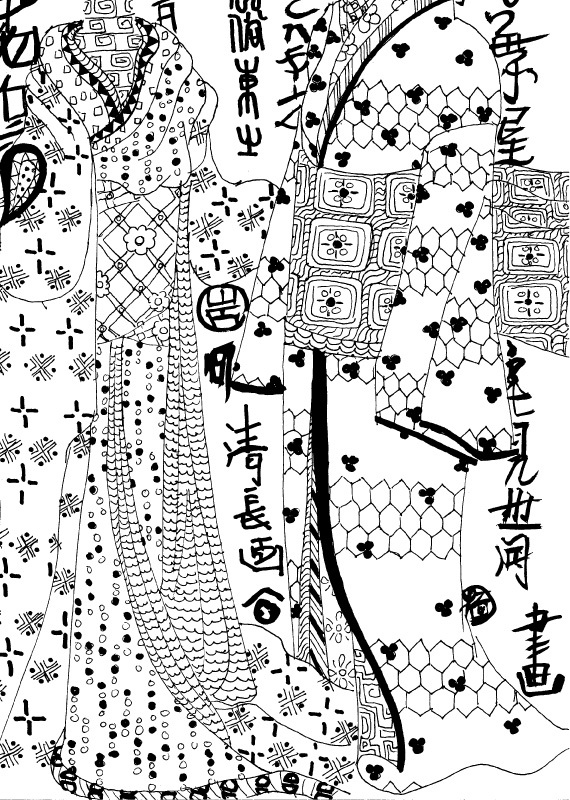 If you look carefully you can see a person in a kimono, with many different textile patterns. 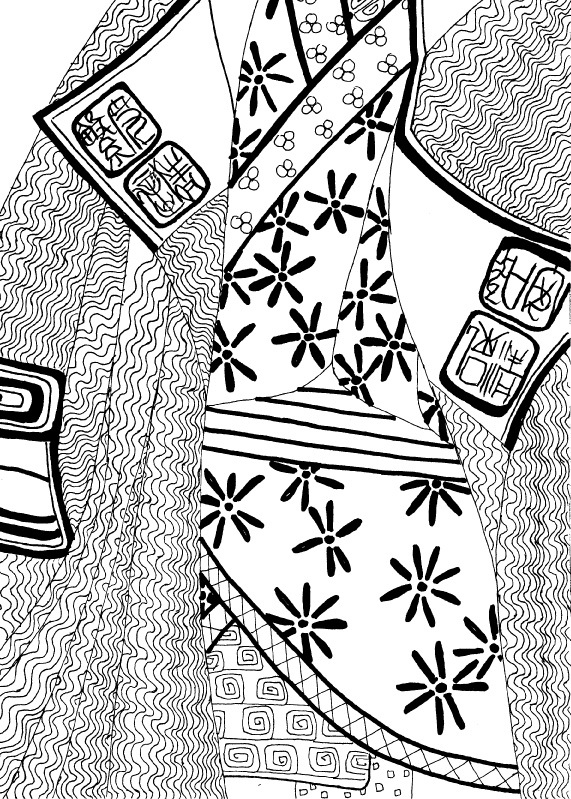 Every pattern is some other part of a kimono. 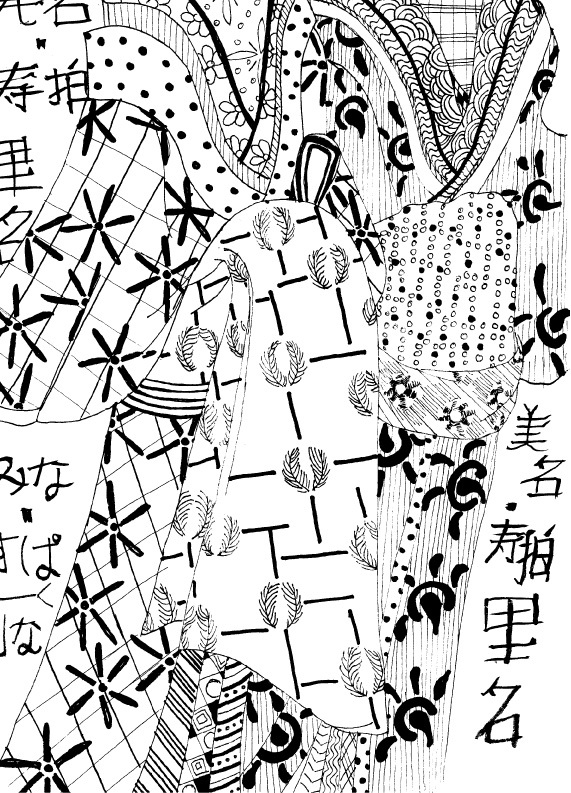 I wanted to try and make this to look like Japanese prints but, on the other hand to make them as textile prints. I used some Japanese signs from the book. 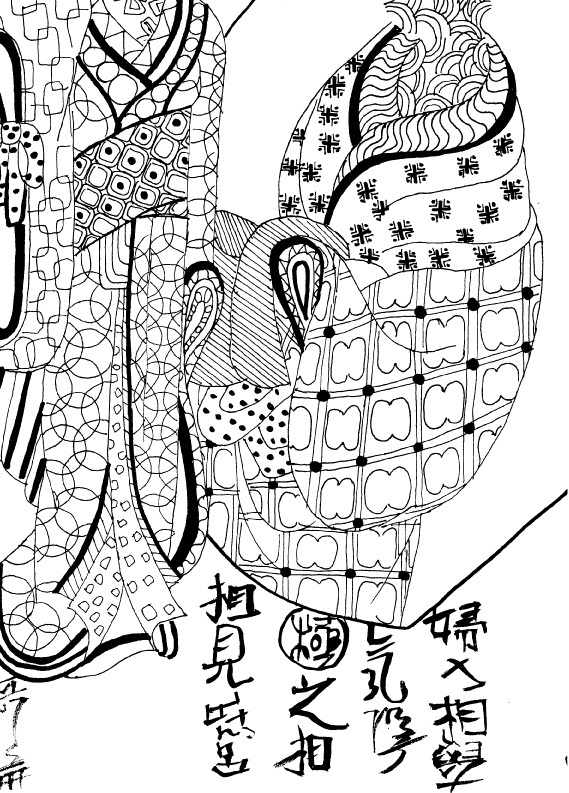 In two drawing I wrote Mina Sparklina in Japanese, and it looks like this 美名・寿拍里名. I used this because I wanted to put something that represents my work 🙂 !